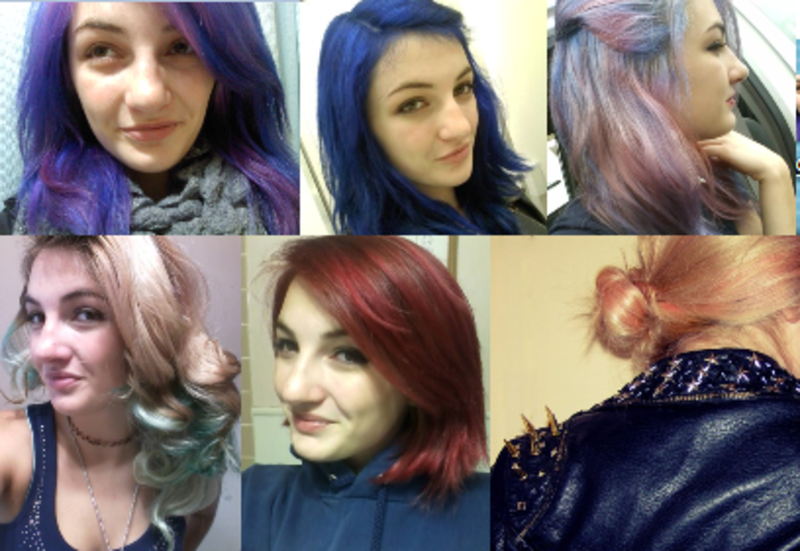 A magical hair-color journey--from teal through turquoise, blue, purple, pink, and red. Since last November, I've been on a year-long rainbow-haired journey - which includes a head full of teal, turquoise, blue, purple, pink, and red. 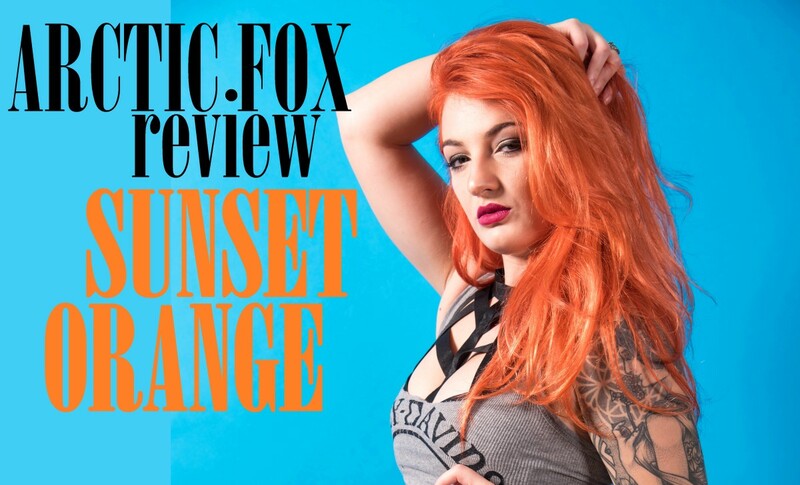 Let's travel back in time and review the year's hair dyes. I messed up my experiment with Bad Boy Blue, and thus won't be able to give a complete review of this color. However, maybe you can learn from my mistakes. 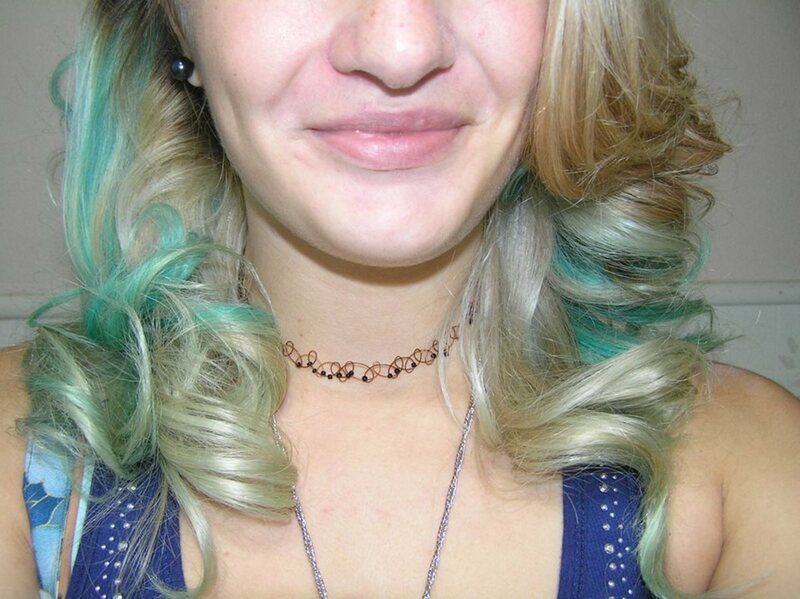 This was my first attempt at colorful hair, and my star-studded dreams of looking like Katy Perry failed miserably. If you read my last Hub on how to bleach dark hair, you'll see why. 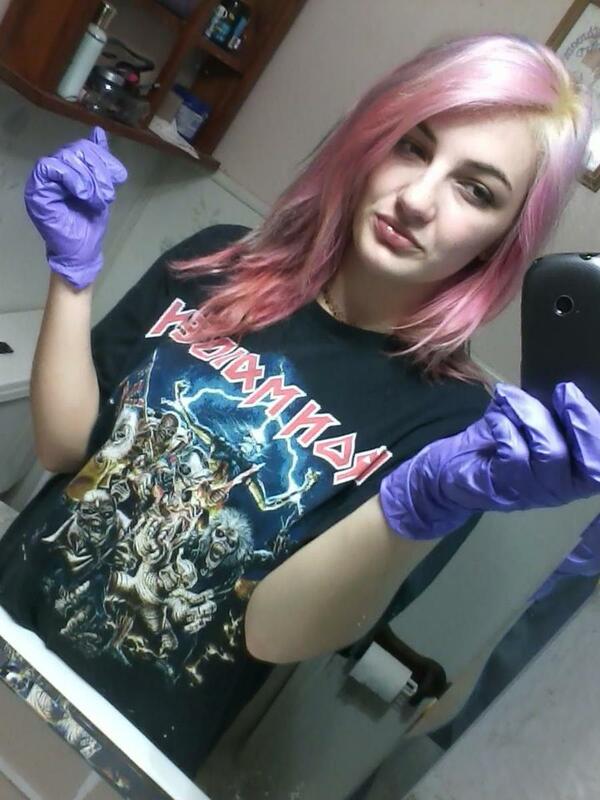 My hair was so stubborn, and I couldn't figure out how to get it to bleach properly. I was so ready to have my bright blue hair that I gave up on the bleach and dyed it anyway! It was a terrible mistake. To achieve the Bad Boy Blue look, you need absolutely platinum blonde hair. My hair was only platinum at the roots, and it got yellow and orange and brown the further down on my scalp it was. Basic color theory should have stopped me from using the dye - but I was getting antsy. I dyed my hair, and what came out was an icky, dirty teal. The parts of my hair that had bleached properly looked awesome! If you have had success with this dye, please send photos and a review of your own! After my last hair disaster, I decided to get the bleaching process right. I bleached my hair to a platinum blonde, and then used Manic Panic's Shocking Blue hair dye. I left it in my hair for about 4 hours, and when I washed it out, it was perfect! Shocking Blue was by far my favorite dye - it was like getting three dyes in one! It started off as a brilliant deep blue, and as it faded, purple streaks started showing up. At one point, it was a gorgeous combination of blue, purple, and pink. Eventually, all of the blue faded out. Before I went on to test my next dye, my hair was almost completely baby pink. While at a march in DC, I ran into another girl with technicolored hair. 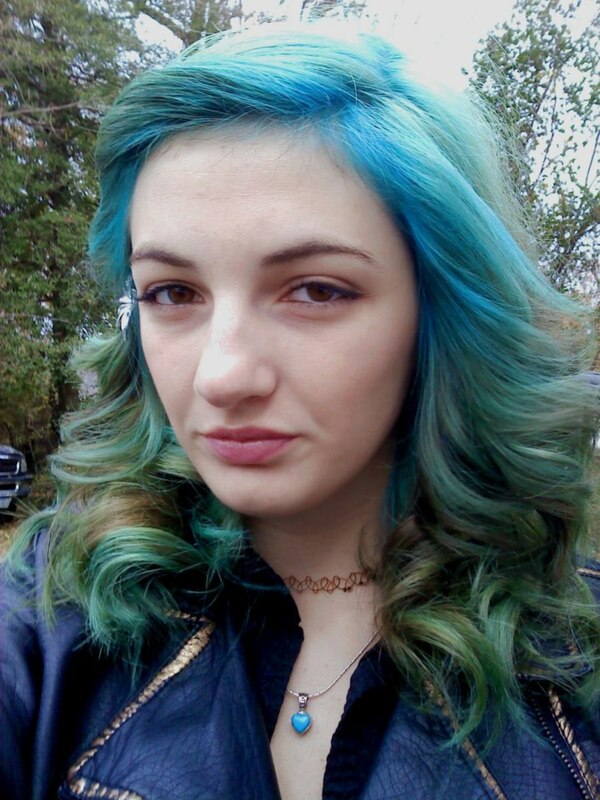 Hers looked similar to mine, and it turns out we both used Shocking Blue! Apparently, the hair dye was just magical. The final photo of my Shocking Blue adventure. Manic Panic Ultra Violet--Four Stars! I applied the Ultra Violet immediately after the last photo in the last section. At the beginning, it ended up looking just like the Shocking Blue, and I was disappointed because I was looking forward to having bright purple hair. As I washed the color out over the next few weeks, the purple became more visible. It got to be such a pretty lavender tone, and my pinks started coming out again. This dye was not my favorite, but it was by far not the worst. I didn't get to see the full extent of the fading process, because I got a new job that required me to be normal-looking. I threw on some conventional auburn hair dye, and it covered up the purple wonderfully. Right after washing the dye out and hair drying. I don't know if I got a bad batch of this stuff or what, but it did NOT work at all the way it was supposed to. I even tried multiple times. Initially, my friend had purchased Pretty Flamingo to do a dip-dye on her hair. She bleached her ends, and the dye was so faint that you could barely see it. She gave me the dye for my own experimentation. WhenI had to dye my hair a natural ginger red for my new job, my hair was still bleached blonde underneath, and eventually the red all washed out and I was left with light blonde hair. I decided it was time to experiment with Pretty Flamingo! I painted up and foiled a few sections of my hair, leaving the dye in overnight. I ran over the tin foil with a straightener several times, as heat tends to bring out the color more. The next morning, I washed it all out and the results were pathetic. As in my friend's experiment, you could barely see the color. I had seen photos of how Pretty Flamingo is supposed to look on their website, and mine was nothing like it. You can *almost* see it. Below is how it looked after a few washes - the color started to blend a little into the rest of my hair. The best way to prevent this bleeding is to wash using ice-cold water! 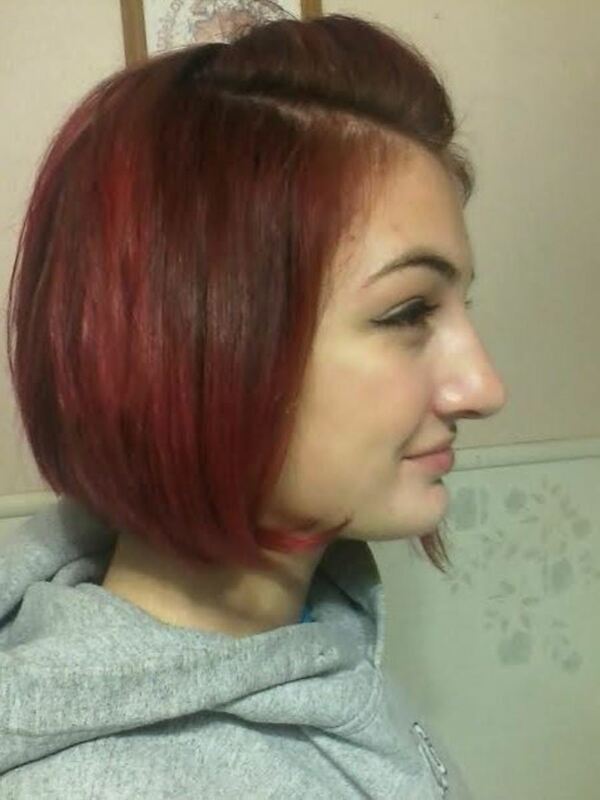 RAW Crimson Red and Manic Panic Vampire Red--Five Stars! I had never really foreseen myself doing bright red hair, but I do get very impulsive. To get to my decision to use Crimson and Vampire Red, let's take a trip through history. After my teal streaks, my roots were so awfully brown. I didn't want to bleach again, so I decided to use a normal hair dye, a natural-looking red, over my blonde hair. I knew the color would fade over my blonde ends, so I dyed it ombre-style to make the dark roots and light ends grade into each other. I really loved the ombre, but after a few months of it, I got extra impulsive and impatient. I decided to chop my hair off and go chin-length! After two weeks of my short hair, I stopped at Hot Topic. The sales girl there convinced me to purchase RAW's Crimson Red and Manic Panic's Vampire Red. I've been using these two differently than the other kinds of Manic Panic dye - instead of putting the color onto dry hair, I'm mixing it with my conditioner each time I shower. I use equal amounts of each color with a bit of conditioner, mix it all up, slap it on, and wait a few minutes before washing it out. The waiting time gives me a reason to shave my legs in the winter. The colors look great together - RAW's Crimson Red is a little brighter, if you're going for that. Vampire Red is darker and deeper, and they both blend so nicely on top of ginger hair! I used two MP colors to make a lavender, as shown in the video below. I loved the color as it first showed up, but it faded very quickly. And honestly, I only washed my hair twice before it turned pink. Below is a video of my second attempt at purple hair - using Manic Panic's Purple Haze dye. 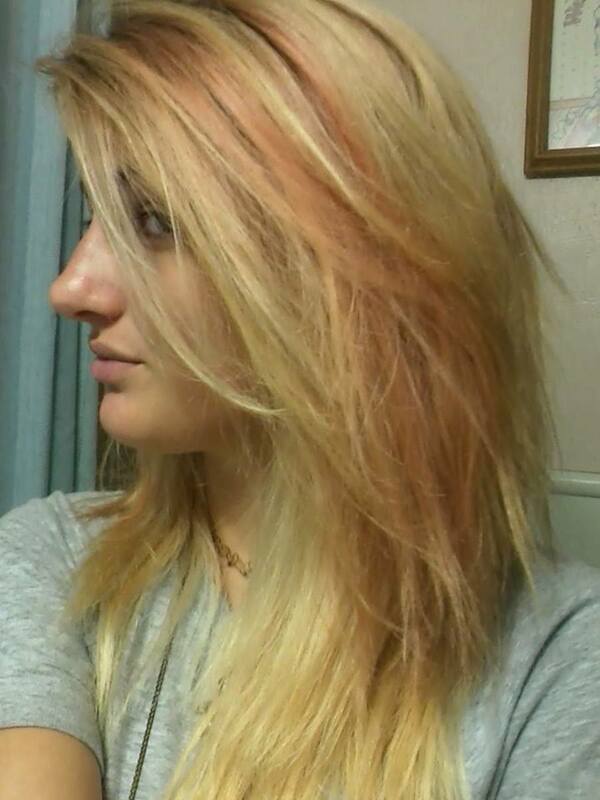 I applied it over a light, salmon-pink hair. The attempt gets 4 stars - I loved the color immediately after dying, but it faded fairly quickly. That may have been due to the sheer number of times that I've dyed my hair, but still. 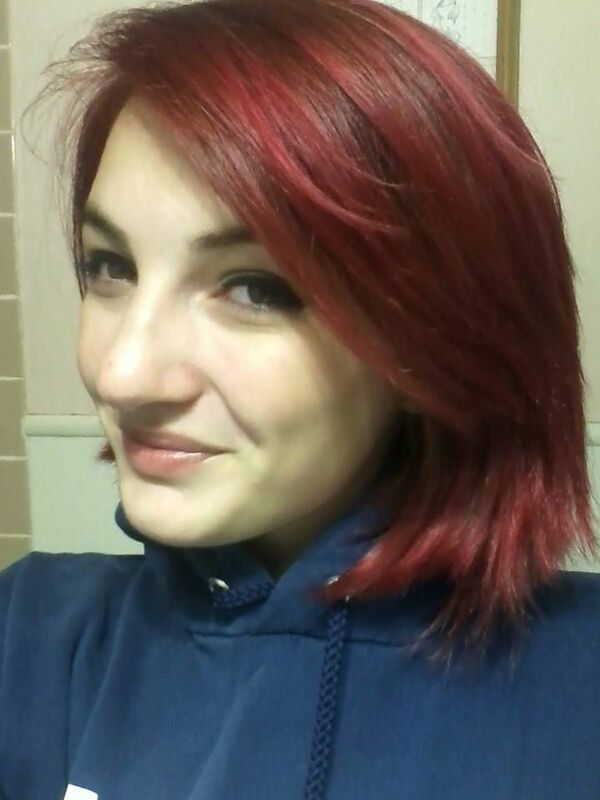 It was a nice color, just wish it had lasted longer. If you're looking to do something with your hair, you should definitely take a look at some of my other articles. 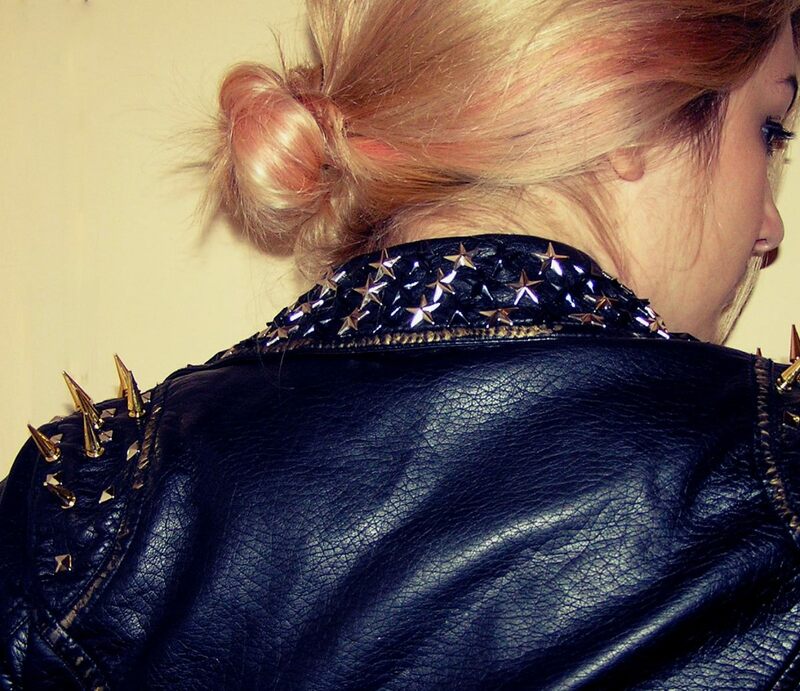 Learn how to take care of bleached hair, and how to grow out bleached hair! If you haven't bleached it yet, try out this ombre DIY! 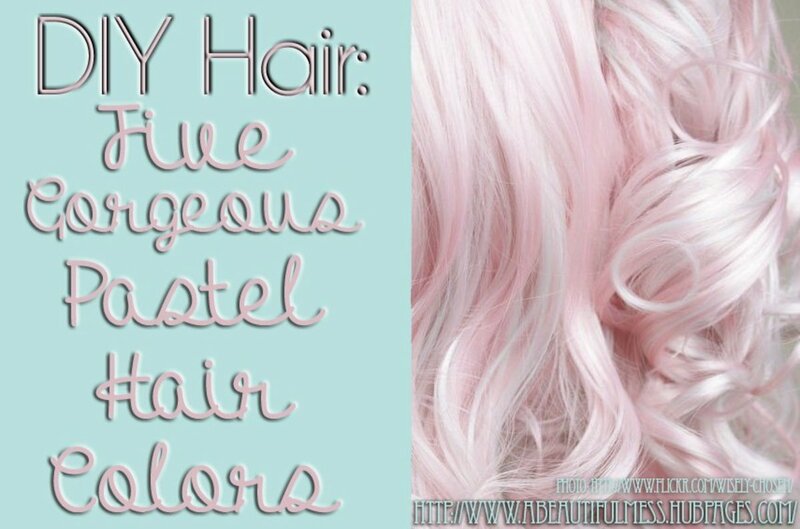 And, better yet, if you're searching for colors to dye your hair and you haven't found one yet, check out one of these five gorgeous pastel hair colors. I've also just posted a new article - this is for those of you who know what colors you want, but need some ideas on how to do it. 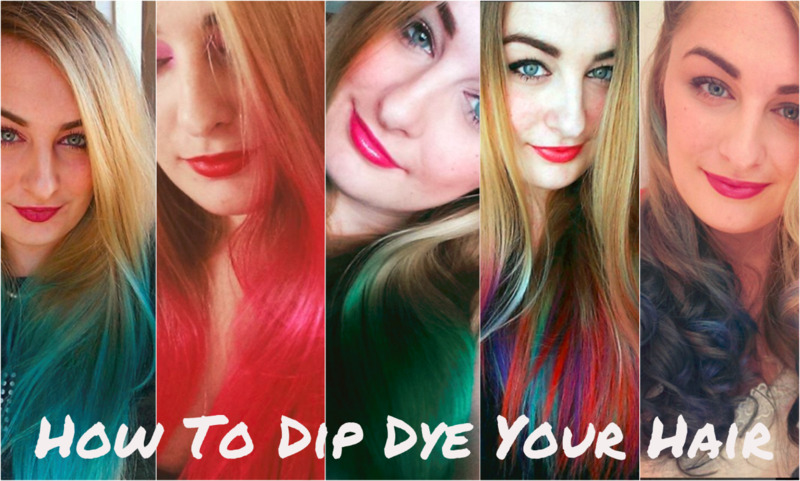 Read about 10 ways to dye colorful hair! Have you used any of these Manic Panic colors? Which was your favorite? 2 months ago from From the land of Chocolate Chips,and all other things sweet. I love Manic Panic dye!!! I always go for the crimson red though because I have found this color suits my skin tone best. Thanks for sharing great hub. In my experience, bleaching gets rid of a lot of the dyes pretty quickly! It's advised to use a color stripper rather than a bleach, but I've found they don't work as well - especially on pinks. If you bleached your whole head with 20 volume developer it should do the trick. The thing with light blue is that it needs to go on nearly white hair. If you have any orange/yellow tones in your hair right now, you want to get rid of those or else it'll turn green when mixed with the light blue. Your review was really helpful! Since you tried all these colors i'm wondering if someone could help me with this...i have dark brown hair that i bleached twice and dyed ayomic turquoise..since my bleach was not even some spot were green and started to fade after a month yellow and dark green so i put some shoking blue over some parts so my hair was blue green and faded blue green purple and pink which is pretty awesome after all...BUT now i'd like to change it to a pastel blue...can i just bleach my whole head? How much does it need to fade to bleach over all these colors? I'm thinking you probably won't... The blue should show up just fine, you might get a little purple, but it'd be brownish-purple. I have light brown hair, do you think I could use shocking blue without bleaching and still get a bit of the purple and pink fading process you described? Sheenarichiie - For some reason shocking blue does that!! I think you could re-bleach easily with a 10 or 20 volume developer, especially since a lot of the color has faded. 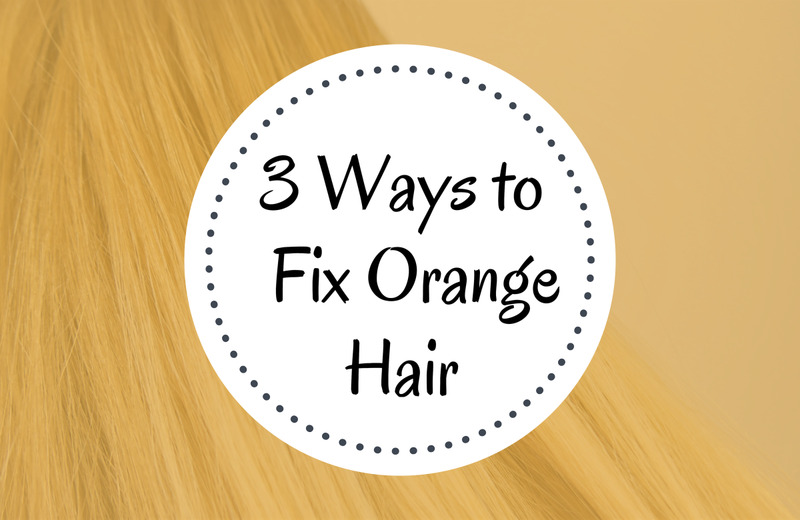 If you want to keep your blonde, it shouldn't be a huge deal to bleach again! Just make sure you moisturize. hii love your comments vary helpful , but im needing help with my hair so ive been alot of colors lately but decided to try shocking blue an it was okay at first dark blue didnt mix with conditioner while applying on my bleached hair now my roots are terrible pink color an the rest of it looks light purple with a bit of light blue i hate it woundering if i should re bleach this mess or just dye it a darker color really wanted to keep my blonde tho help !! Please!! Commenting super late, but I dyed my hair in almost the same sequence as you! Only I started out dark blue with After Midnight, which soon faded to the same strange, moldy color as yours did with the Bad Boy Blue. 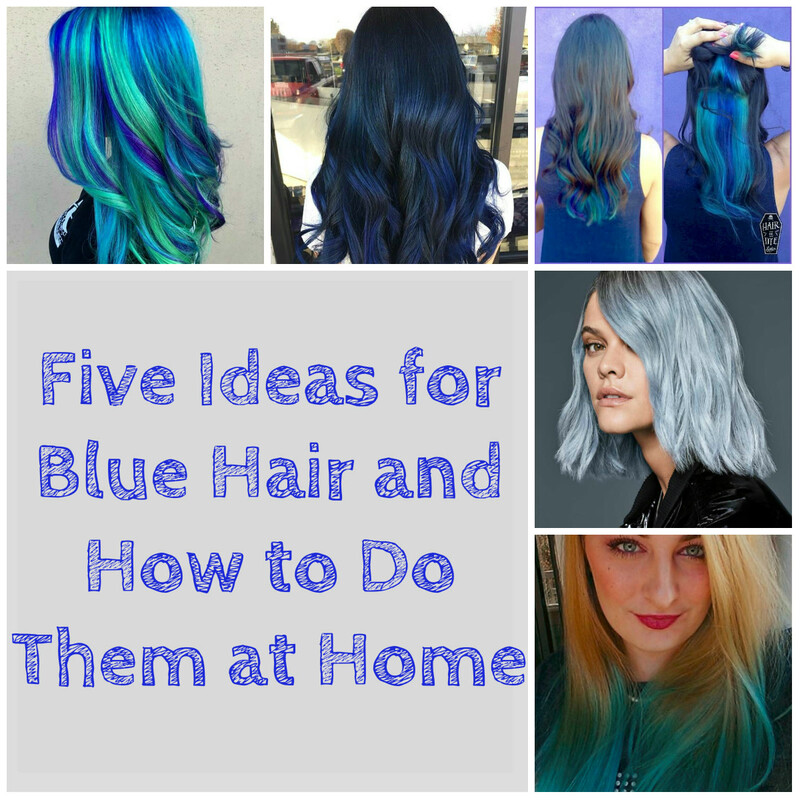 From there, I've used Shocking blue for months, and I love it! Having it go from deep blue to that two-toned purple and finally the bright, salmony pink is like Willy Wonka's 3 course dinner gum for the hair. Finally, just tonight, I slathered Ultra Violet over that same pink and at this very moment I'm sitting here with my head wrapped in slimy, indigo plastic wrap. I think our hair is related... Either way, thank you for posting! Now I know exactly what to expect from this color! I used Splats blue colour and it did not fade in the slightest for a good 2 months. I loved it! Honestly it won't get muddy if you use a blue or purple toned dye. The only way it'd get muddy looking and brown is if you used a yellow or orange! 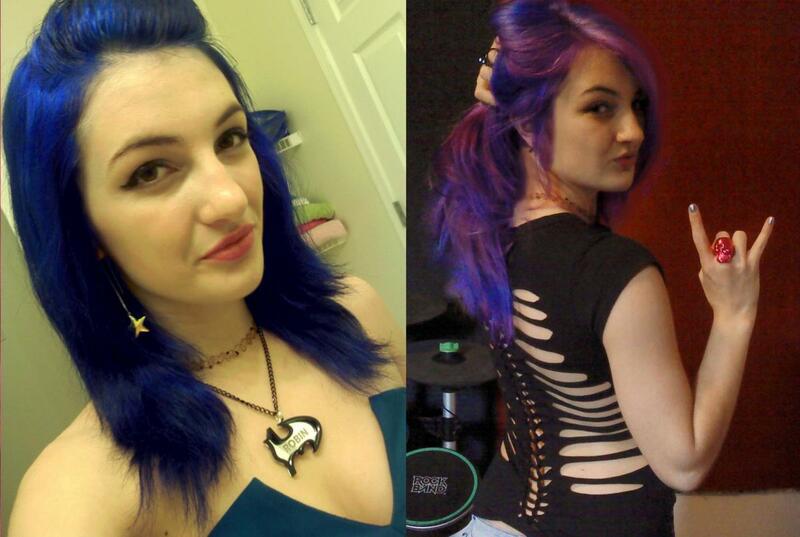 You could use the shocking blue over again, or try some of Manic Panic's purple tones like Lie Locks or Ultra Violet. I dyed my hair shocking blue and its at the purple phase what color would go over the purple to either make it bluer or more purple with out turning muddy or murky? I'd like to put out there that there are ways with Manic Panic to make the colors brighter and last longer. 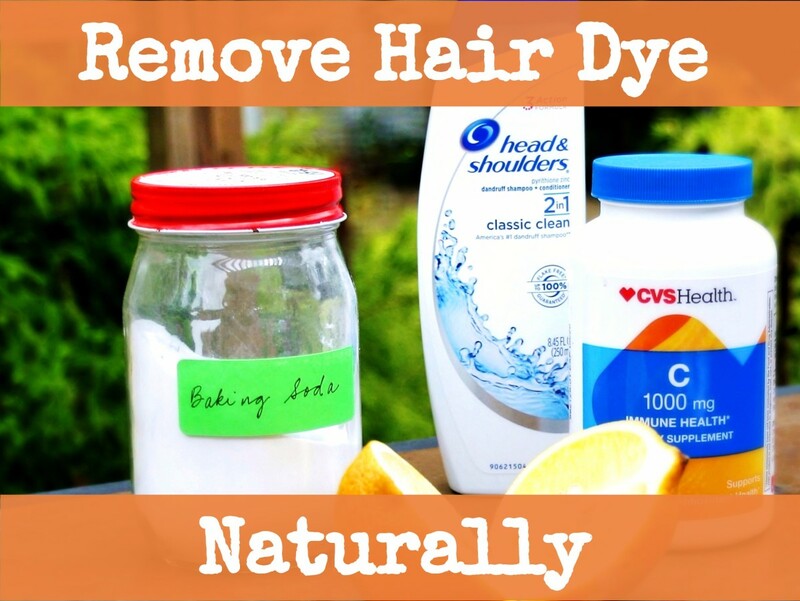 The ingredients in the dye actually are able to stay on your hair for as long as you want. I personally leave it on for a minimum of six hours, but I usually plan out a day to dye my hair. You can also use heat on it, when mine starts to dry out I take a hairdryer to it. I also put conditioner on top of the dye after I have it in my hair. Leaving conditioner on for that long also gives your hair a really healthy look and makes it extremely soft. So dye, conditioner, heat, then leave it on for as long as you want or as is possible and you'll have great bold and vibrant color! Just don't forget to lighten the hair first, the Manic Panic lightening kit is perfect for it. that should work actually, because red and green are complimentary colors. When mixed, they make brown! If you want to skip a step, I'd instead just go with a warm brown with red tones in it. I'd use baking soda on it, it takes the color out pretty quickly! Mix 1 tbsp of baking soda with enough water to make it into a paste, and then use it as you would shampoo! Really work it into your hair and leave it on a few mins before washing out. Then use 2 tbsp of apple cider vinegar mixed with 2 tbsp water as a conditioner afterwards. It'll smell funny at first but the smell goes away when it has dried. That's how I get color out of my hair! Then I'd just dye brown on top once it has faded a good amount. I've currently got a fading out turqoise/green/blue mess going on. I don't want to bleach! What are your tips of dyeing brown over the top without it going a dark green? Manic Panic Ultra Violet and Atomic Turquoise are always my go to colors, they start out pretty and fade beautifully ... I have recently found that if you want a nice pastel lavender (it's a little on the pink side) try Mystic Heather, I'm not a huge pink person so I did it with sections of Electric Amethyst, Atomic Turquoise and Siren Song, to make a mermaid effect, but the pinky lavender from Mystic Heather is actually really pretty and it went on great even though my hair wasn't super uniformly bleached. 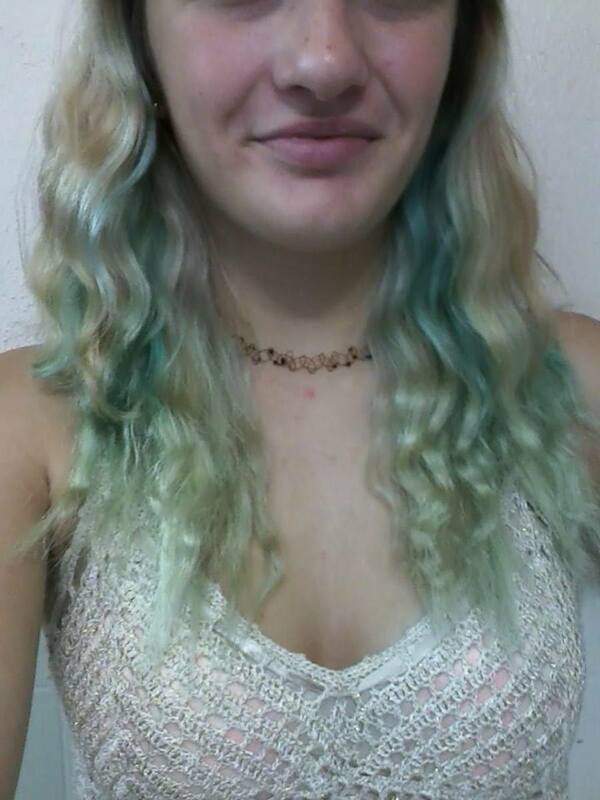 Would the Manic panic blue fade the same way on unbleached hair .? Hmm... I'm not sure about oil, I've never tried that. But using conditioner with the color dilutes it. It'll end up having the opposite effect, making it more pastel rather than bright! 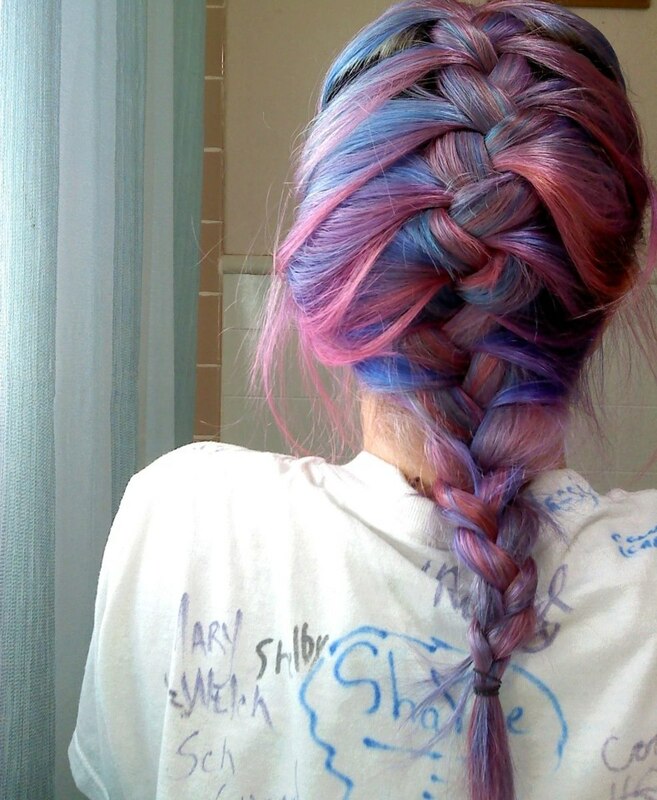 I would just leave the dye in longer, possibly overnight. You can do this with Manic Panic since it's super safe for your hair. I used hot hot pink on my bleached tips and it looks great. But some parts don't have that strong a color as other parts. 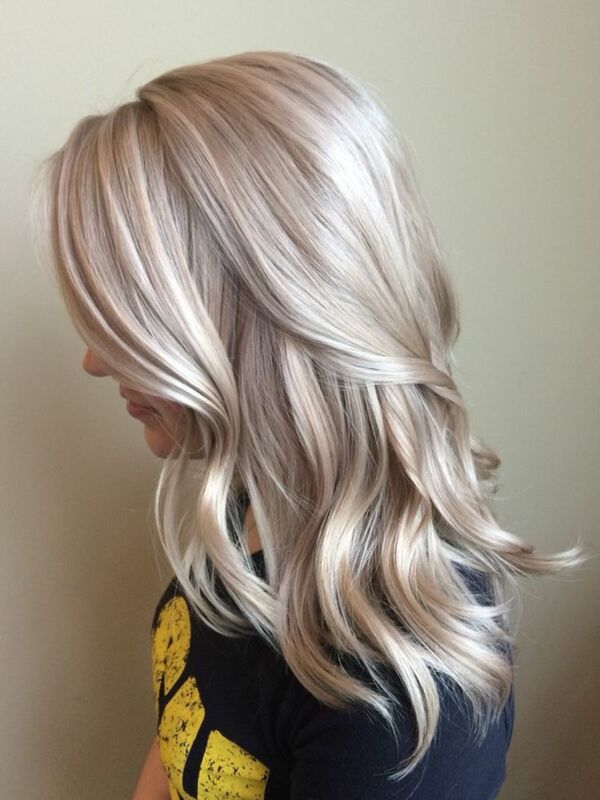 Would mixing some dye with conditioner and applying that help? Cuz I heard it's a great way to keep it vibrant. Or is oil better? If I were you, I'd see what you can get outside of a kit. I had medium length hair when I bleached, and two kits weren't enough to do much. I got a tub of bleach powder and a bottle of 40 developer, for around $15 I want to say. And manic panic runs like $10 a tub. I would definitely recommend mixing your own bleach, because you likely won't run out - and if you have to bleach again, you'll have extra. I have very dark brown hair. I don't have money but I'm in my late (20's) and want a different look (also for my Halloween costume lol) I already bought the "splat" kit but I've read that the "peroxide" (which I'm assuming is developer) is only level 20. Like I said I have naturally dark hair and it's long and thick. Should I return it and just go to sallys to get bleach, level 40 developer, and manic panic? I have until Halloween to get it done. I don't really need to go full blown but I've tried manic panic without bleaching and it didn't do much. I'm so lost! Hopefully you can respond and give me some advice! Thank you in advance! Super hydrate!!! Check out my article on how to take care of bleached hair. Well if it's blue/green and you go to red, you'll end up with brownish purple! My hair was brown when I did the red, and the colors didn't conflict too much as you can see. You should either use a color stripper to get the blue out, or just try to wash as much out as you can with hot water and shampoo. Hey, im just wondering.. Did you bleach your hair first before dye it with vampire red? Cos now ive got the gross badboy blue and i want to back to my red head and im a bit puzzled if i should bleach my hair first or just snap that vampire red.. Thx! Girl, I have no idea how it happened!! 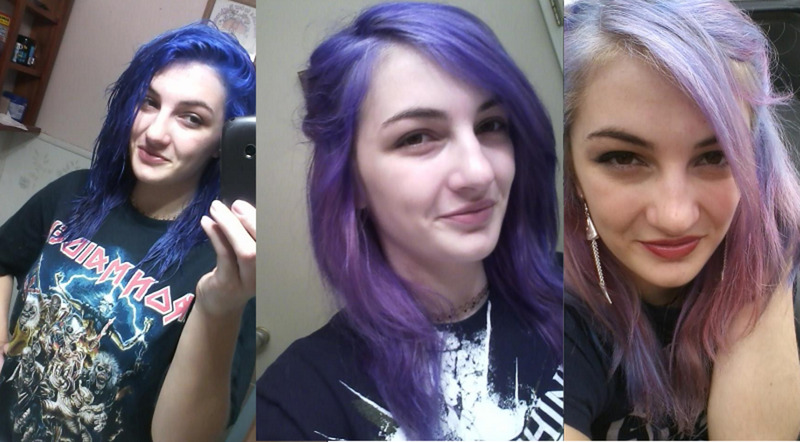 It started to fade around my face first, so my bangs and stuff turned purple while the rest of my hair was blue. It was probably 2 or 3 weeks before it started doing that, and then it was pretty for another 3 weeks or so before my roots were gross looking. Hmm, i wonder why it faded so unevenly yet PERFECTLY, how long was that fade? Ill have to try it and pray that it fades like yours did!! I didn't! That's the thing. That dye just happened to fade that way. It was Manic Panic Shocking Blue. Okay the photo with your hair going piecewise from blue to pink.. is AMAZING... HOW did you do that?! Like what pieces did you section off and delegate which ones blue and which ones pink?! All you'd have to do at that point would be bleach your roots. The blue will go nicely over a light pink! Do you think you would have been able to go straight back to the blue once it hit pink, or would another bleach have been necessary? about 2-3 weeks before purple started coming out. then probably another 4 til it was pink! How long was the fading process with the shocking blue? How long was it blue, then how long purple, then how long till it was pink? give it some time to wash out! mine looked blue at first too, but after a few washes the violet came out. I have very light blonde hair so I didn't bother bleaching my hair and dip dyed my ends. I used Ultra Violet and ended up with a pretty indigo colour. It isn't want I wanted but I'm, not unhappy. It looks good to me, however I wished I had a more lavender-purple colour. what!! That's crazy. My scalp turned a little pink, and my hands, but I was able to scrub it off in the shower. If it gets anywhere on my skin while I'm putting it in, like my shoulders, I try to rinse it off immediately while leaving the color to set in my hair. I've never tried splat! I'll have to check it out though. So far, Manic Panic has been very good to me. I hate that I have to wash my hair in cold water haha! I recently tried splat hair color, the red one, just for streaks. It works pretty well, just fades out over each wash (don't they all? ).